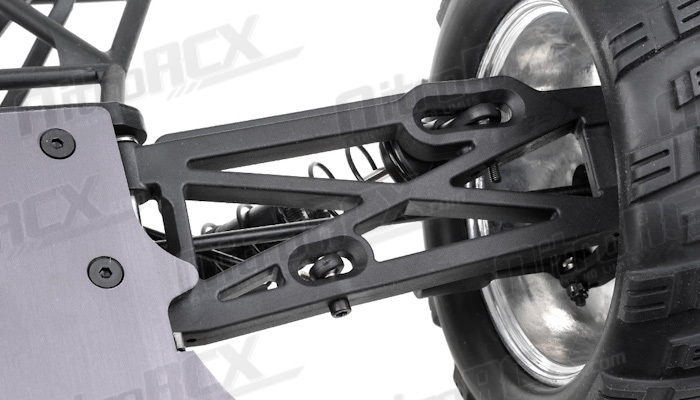 The E8MTL is Iron Tracks latest truck offering. 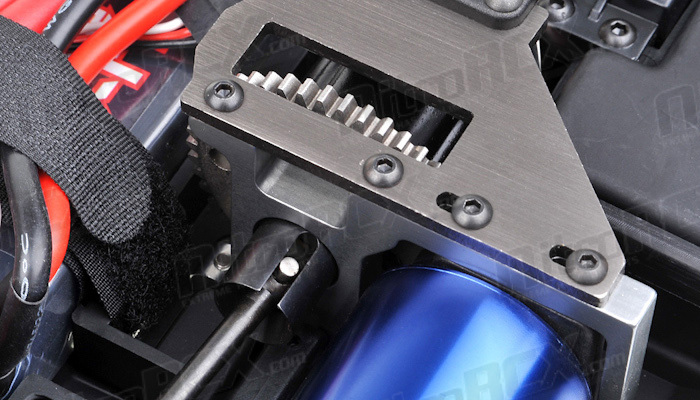 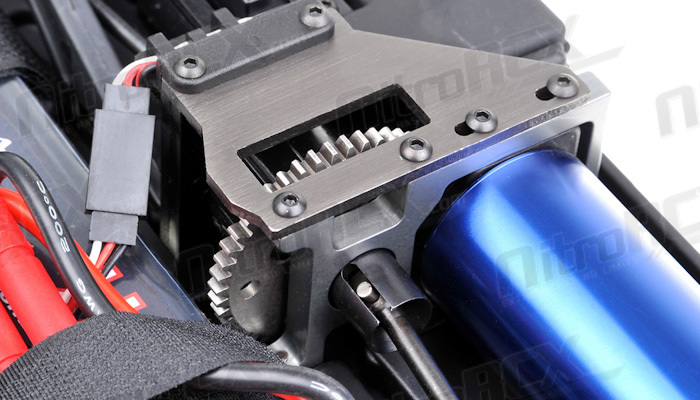 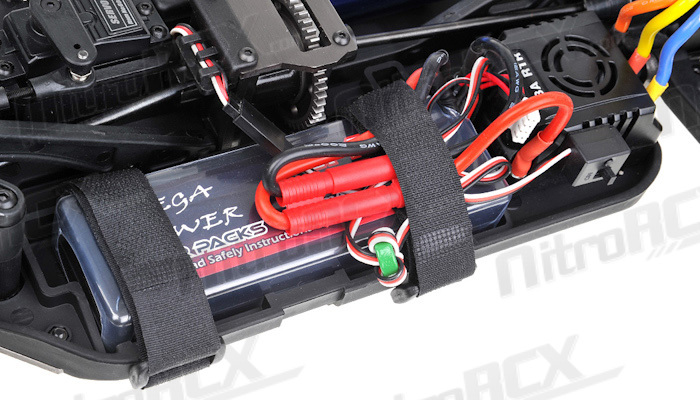 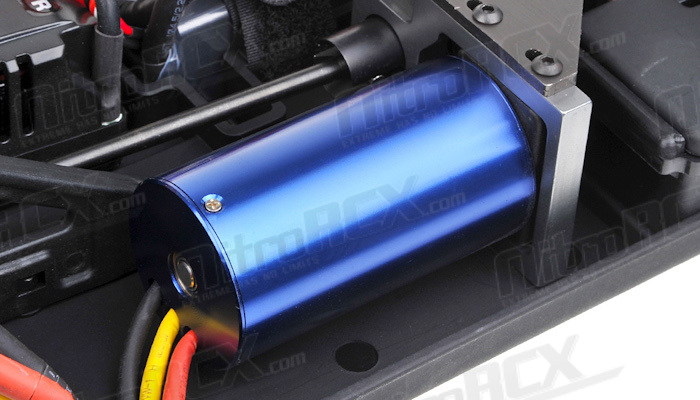 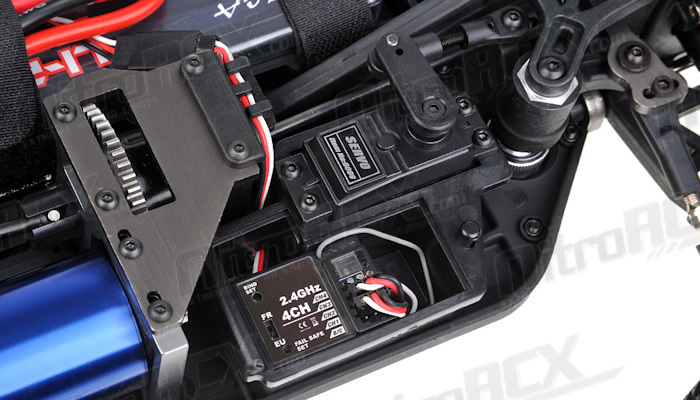 Wheelie pulling power is delivered through a powerful brushless motor and electronic speed control. 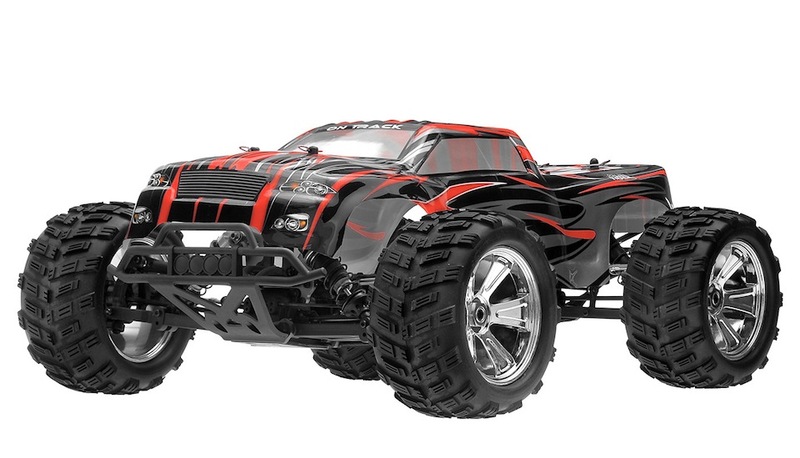 This truck is built to punish everything in its path; whether it is jumps, sand dunes, grass, or dirt. 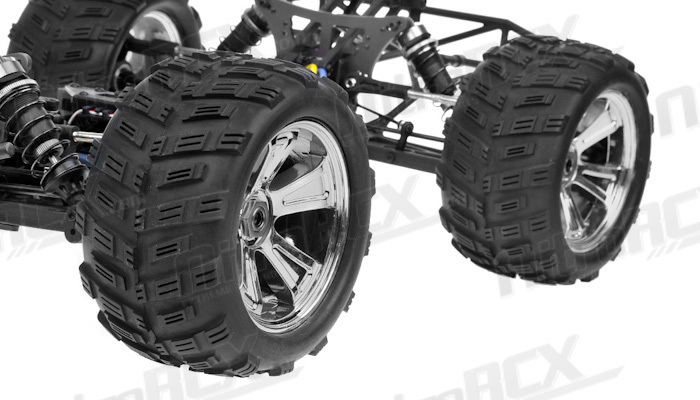 The truck is equipped with large oversized monster truck wheels and tires ensuring maximum grip and control. 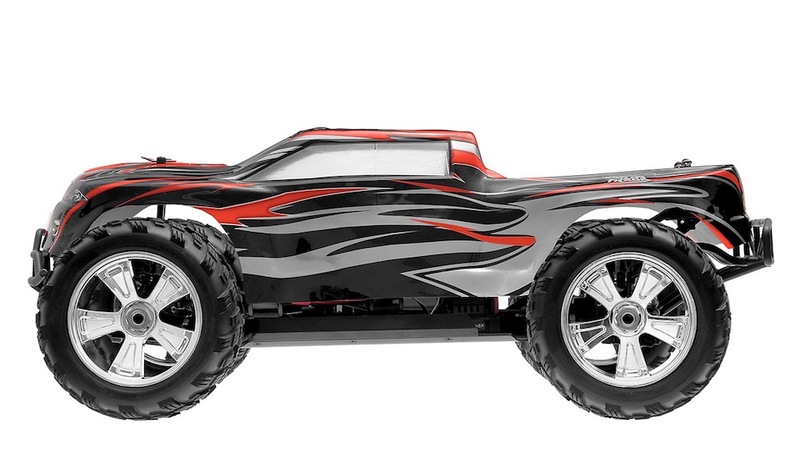 The high ground clearance allows E8MTL to go where other trucks simply get stuck. 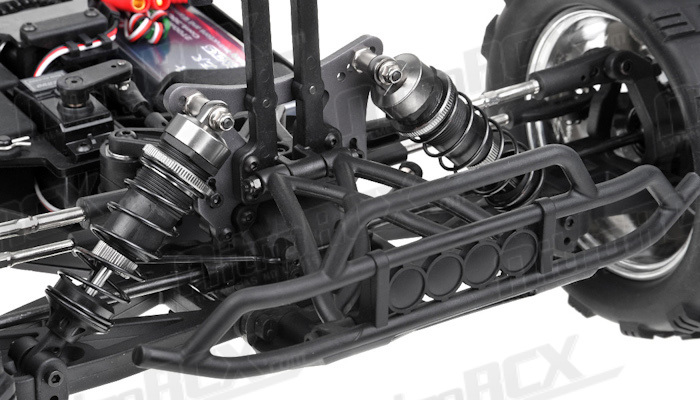 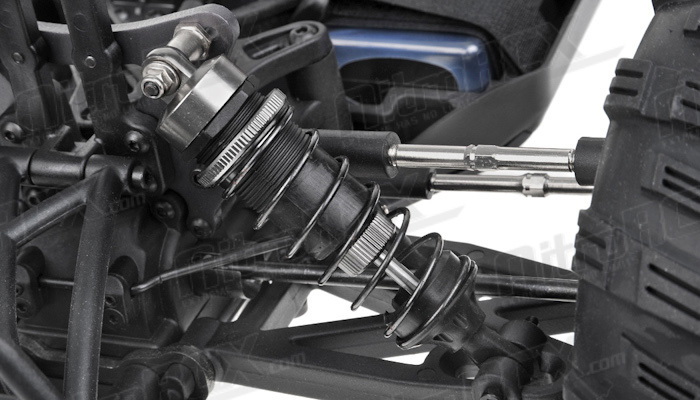 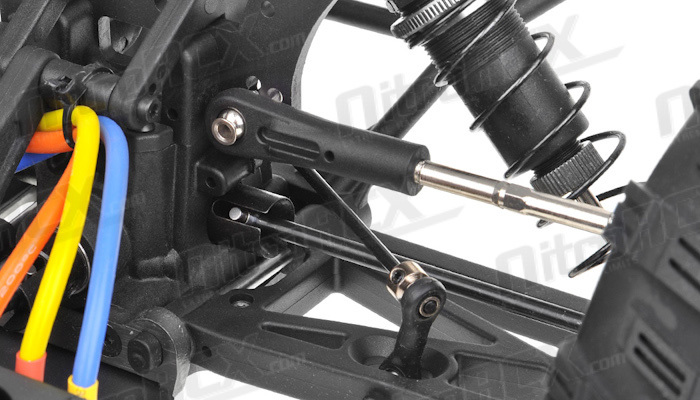 The E8MTL has fully Independent suspension front and rear with adjustable camber, toe, roll center and many other tuning options to fine tune the driving experience. 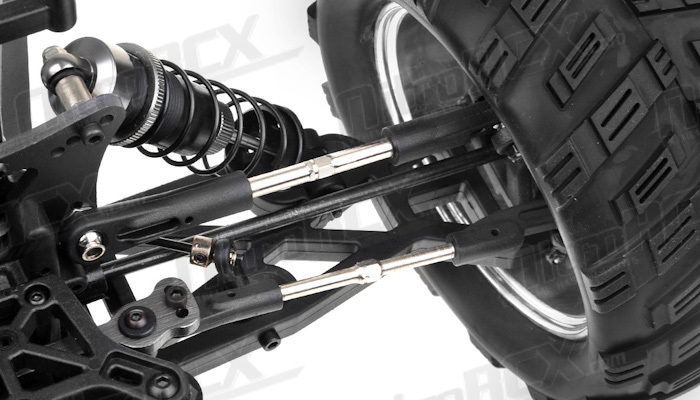 The high volume big bore oil filled shock absorbers are also fully adjustable, allowing you to fine tune the trucks terrain dampening. 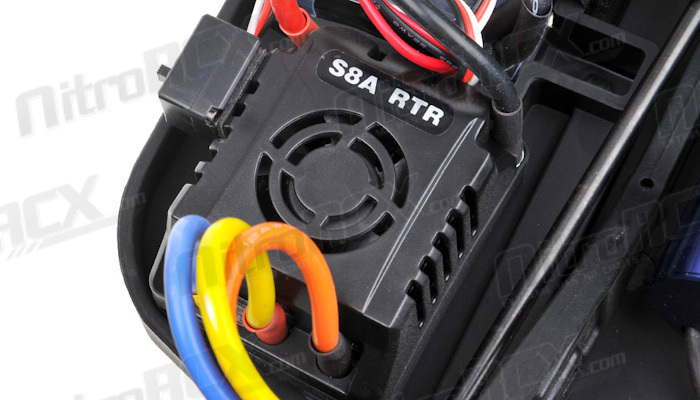 The E8MTL enjoys all the benefits and convenience of electric power in one awesome package. 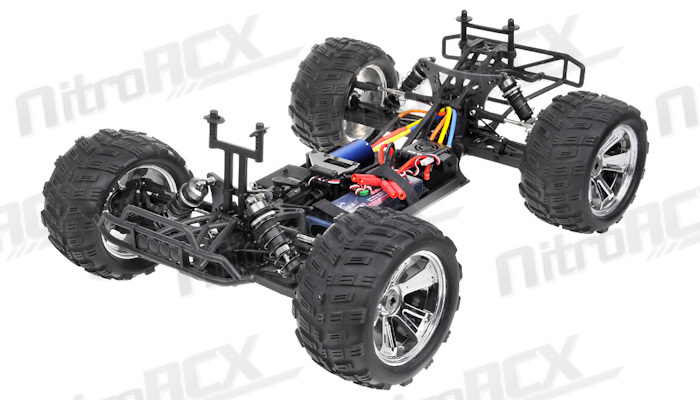 Electric 1/8th scale trucks are becoming popular as it is faster, less complicated and more reliable than conventional nitro powered trucks. 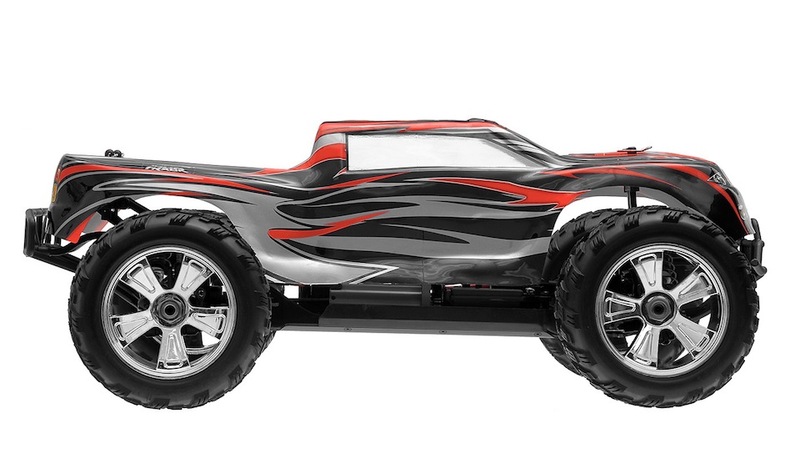 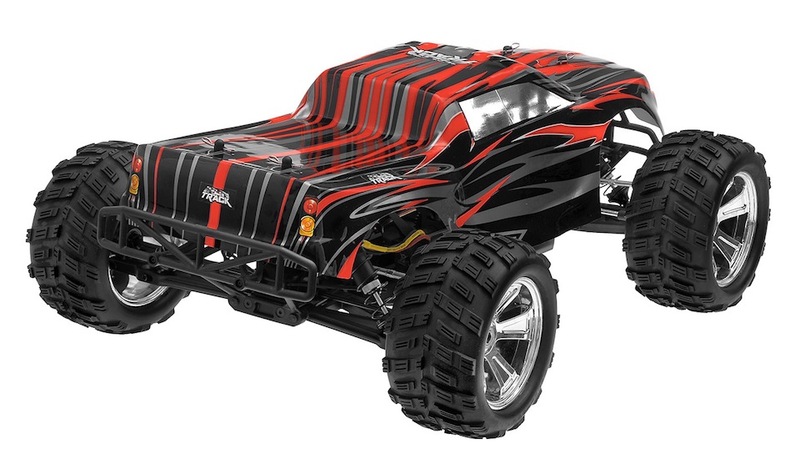 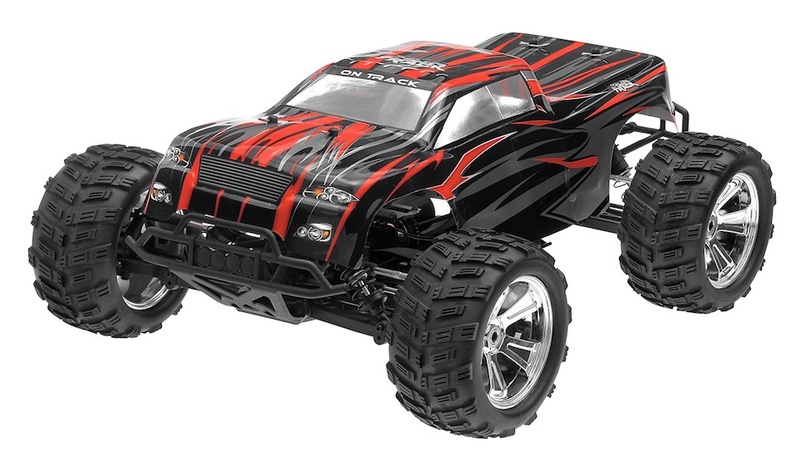 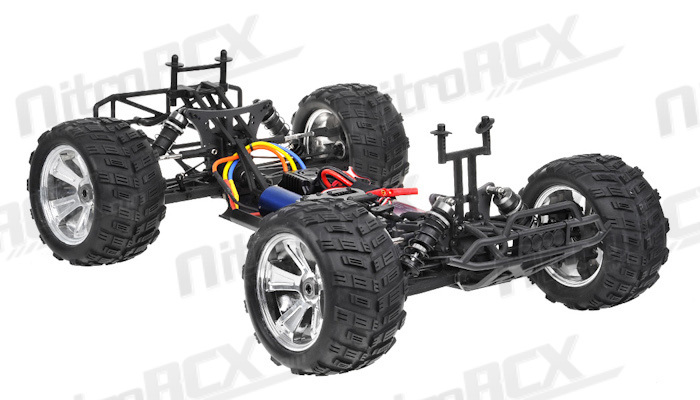 Take this beast to your local park, beach � wherever you wish to tear up some terrain! 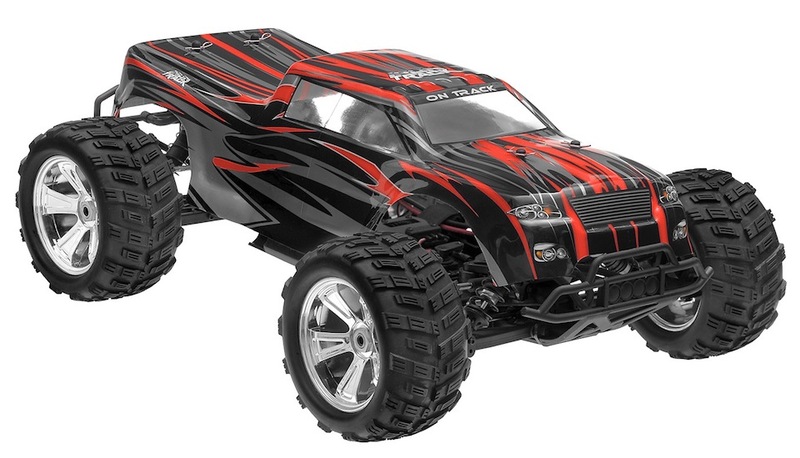 This monster has the power, performance and reliability to take on any terrain you can throw at it. 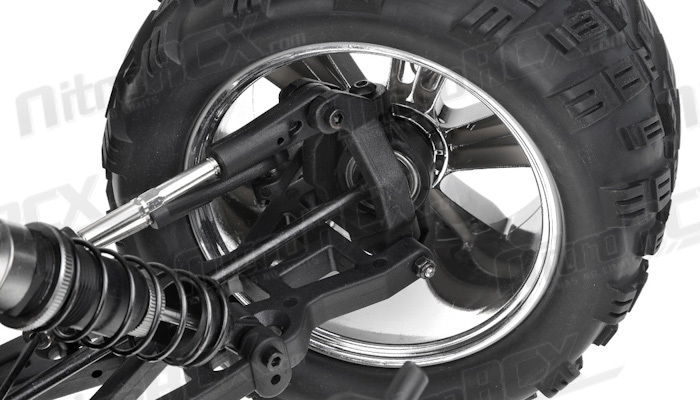 -- Hardened ionized materials are used for all joints and wheel axles. 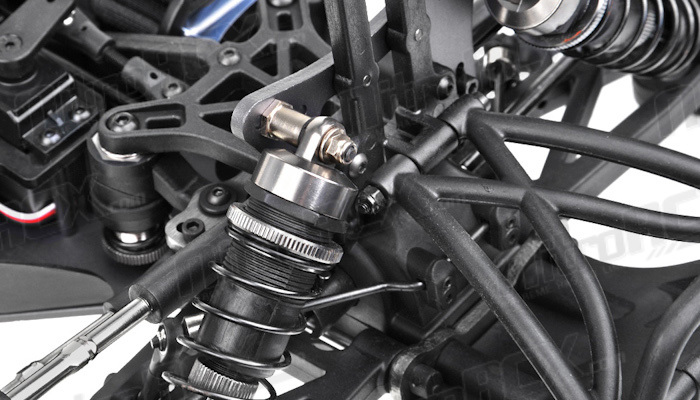 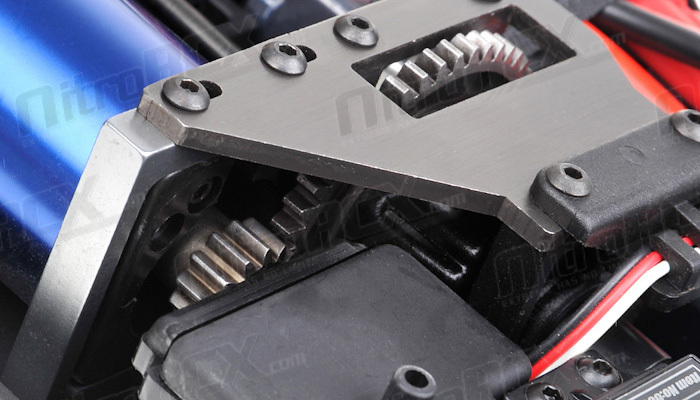 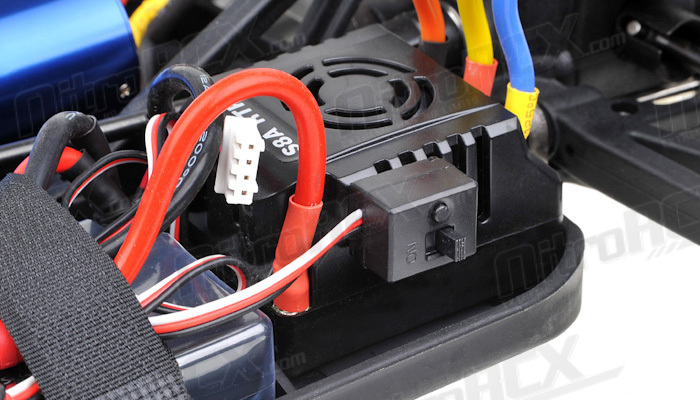 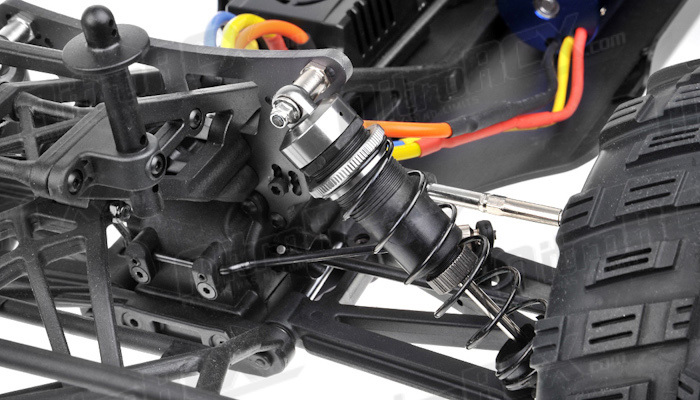 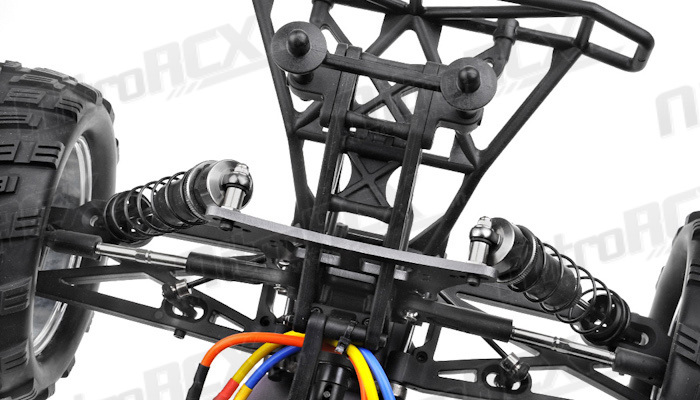 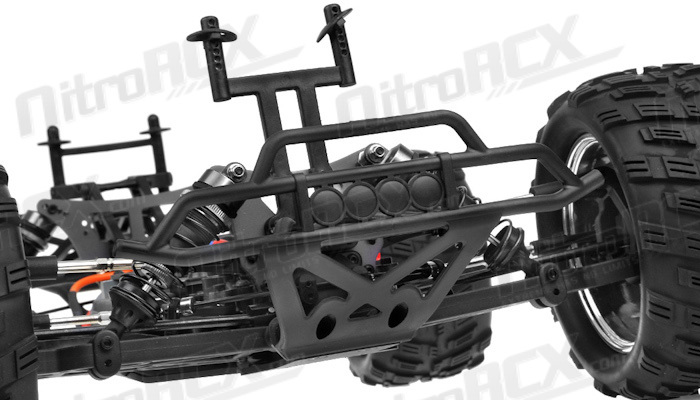 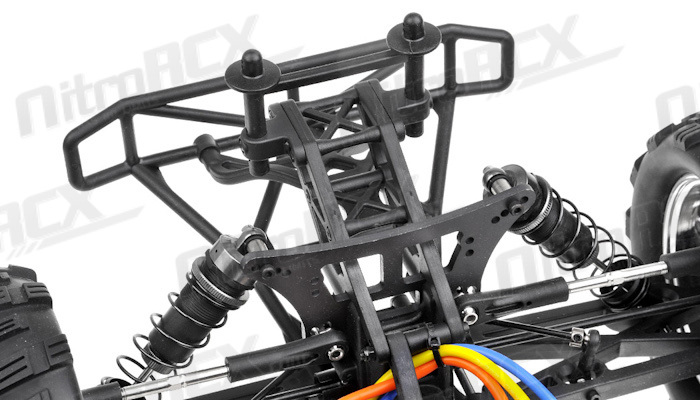 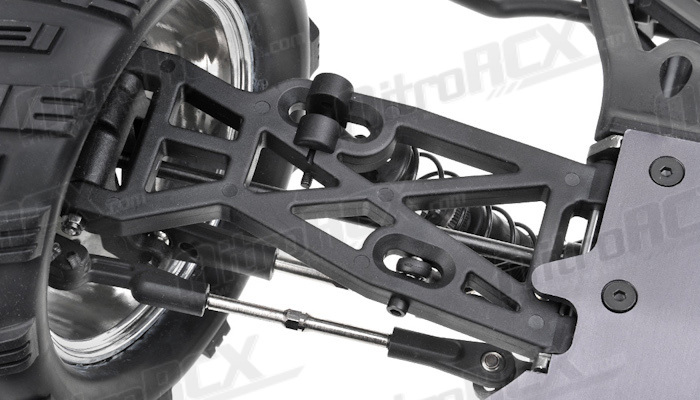 -- All differential and suspension components are filled with high quality silicone oils.